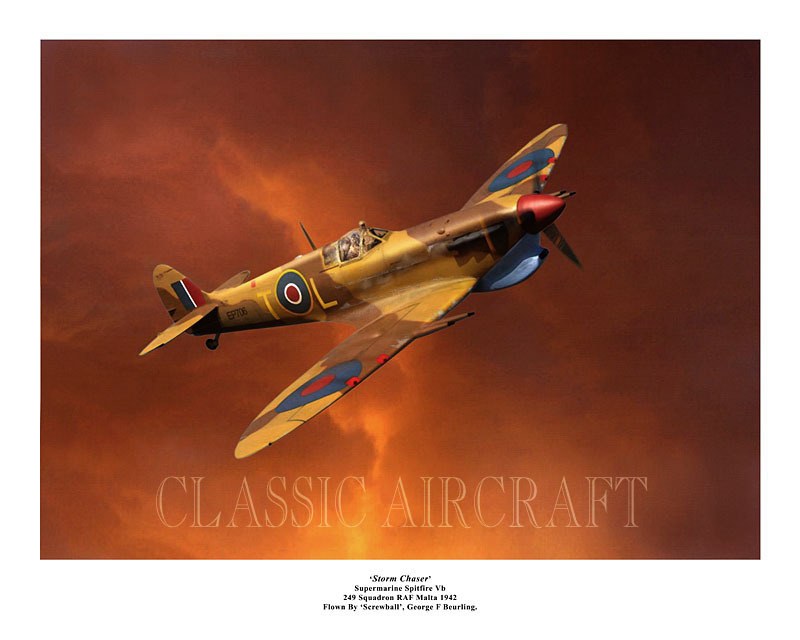 Print depicts ‘Screwball’, George F Beurling in his Spitfire Mk Vb 249 Squadron RAF. George Beurling was a superb pilot who become a legend whilst fighting in Malta during WWII and was credited with 32 victories. 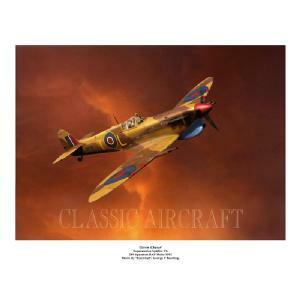 Giclee fine art print on 300gms, 100% cotton, limited to 200 prints. Overall size 20x16 inch. Image size 13x18 inch.